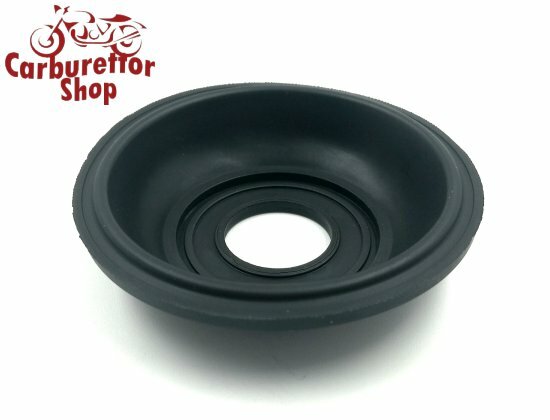 Replacement diaphragm for the Keihin CVK32 carburetors as used on the 1985 - 1990 Kawasaki GPZ600 R motorcycles. Keihin no longer produces the complete slides, nor the separate diaphragms, so we are very happy to be able to offer this replacement diaphragm. This is a Carburetor City diaphragm of outstanding Japanese manufacture.